Here are my top three tips to help you get and stay healthy this springtime. 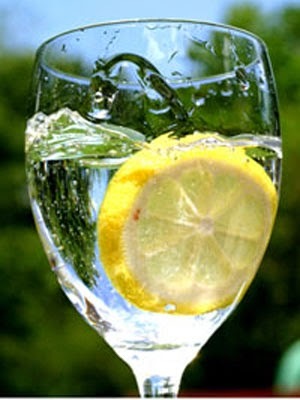 As soon as you wake up, drink a glass of lukewarm water with the juice of half a lemon. This will kick-start your metabolism for the day, give your immune system a boost (thanks to vitamin C), aid your digestion and cleanse your whole body by helping your liver to flush toxins out of your system. It'll also give you energy without the mid-morning crash caused by caffeine. The weather is warming up so now is the perfect time to step out of that stuffy gym and start exercising outdoors. So go for a hike in the woods or a run in the park. 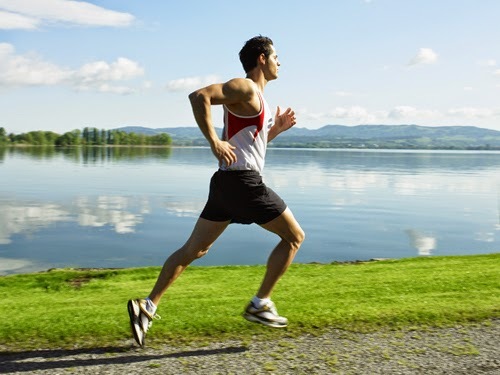 The uneven terrain and wind resistance will make you work harder and burn more calories than you would on the treadmill, but the green environment will actually make your workout feel less strenuous. Nature gives you a sense of wellbeing so it's also great for your mental health. Studies show that even a ten-minute walk outside can significantly improve your mood. I always return from a good walk or run with a completely different mindset from the one I set out with. It really clears your head and gives you a double hit of the happy hormone serotonin - one from the workout and one from the sunshine. So get outside, breathe in the fresh air and top up your vitamin D levels (vital for strong bones) while you work out and you'll get fitter faster. Two handfuls of raspberries. Strawberries are also great. Use both if you want! Half a scoop of protein powder. Chocolate is my flavour of choice; I love the way it tastes against the raspberries. One teaspoon of peanut butter. I use a peanut spread made with 95% peanuts and no butter. One or two teaspoons of pure honey. ½ inch piece of fresh ginger or a pinch of ground ginger (optional, if you want a bit of an extra kick). One tablespoon of ground almonds. Or any nut, really. Two heaped tablespoons of natural yoghurt. Milk and soya milk also work as good alternatives. 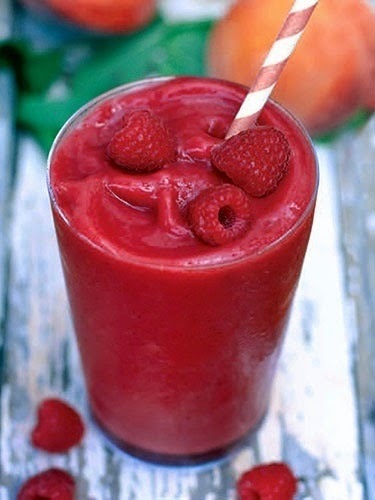 A splash of pure fruit juice such as orange or mango. Optional: to make it more filling, add half a sliced banana or a small pear. Throw everything in a blender and blitz until smooth. If it's too thick, add some water and keep blending until you achieve your desired consistency. Have a happy, healthy spring!